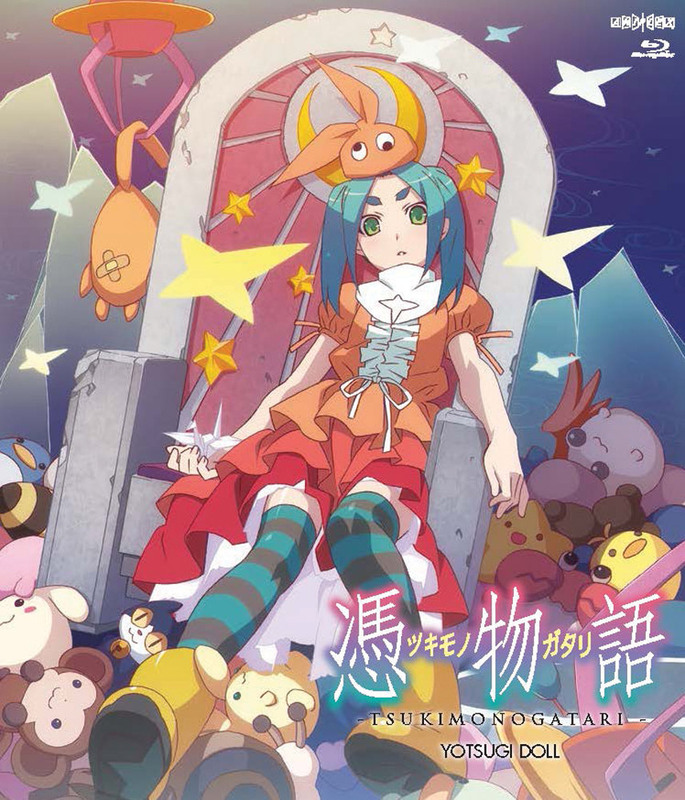 Tsukimonogatari: Yotsugi Doll is the first arc of the Monogatari series' final season. Contains episodes 1-4 plus a deluxe booklet and a pin-up postcard set. One day in February, Koyomi Araragi was taking a bath with his younger sister Tsukihi amidst finishing his studies for the college entrance exam. This was following the incident involving Nadeko Sengoku, which was successfully amended behind the scenes by Deishu Kaiki. Koyomi noticed a change on his body “that could not be overlooked” and sought advice from Shinobu Oshino leading him to contact Yoduru Kagenui and Yotsugi Ononoki. Was this change signifying retribution for everything that Koyomi has done?! I am a fan of the Monogatari series. As in every arc, there are interesting discussions, intriguing stories, and beautiful frames of animation that are especially nice due to being Blu-Ray. The audio is overall crisp, but it can be a little jarring when there is substantial emphasis on a word or phrase during dialogue which, if your volume is turned up pretty loud, will catch you by surprise sometimes. 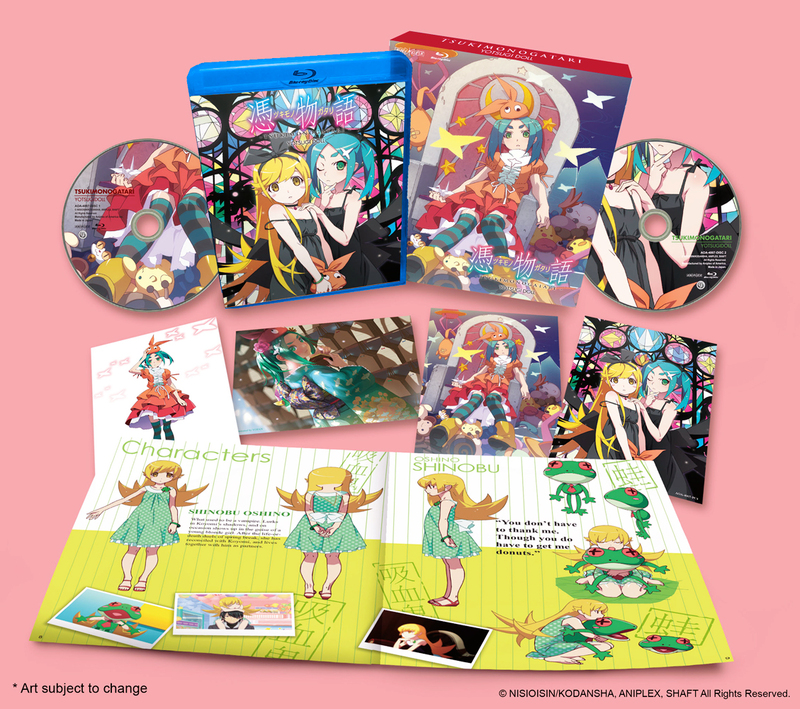 The "second season" releases for Monogatari are being churned out following the exact same formula of "split every individual arc into separate releases, throw some pity extras in, and ship it" that Aniplex has derived following its recent mega-hits like SAO. The extras are okay, but I'm not a fan of the flimsy cardboard slip covers in which each of these arcs are shipped. Additionally, the number of arcs in the second season and the stand-alone releases brings a massive overhead cost to owning the entire series. Overall, this is up-to-par with the recent arc releases.